Total area: 4,840 sq. kms. The eparchy of Kothamangalam was erected by Pope Pius XII through the Papal Bull 'Quiin beati Petri Cathedra' of July 29, 1956 separating theprotopresbyterates of Arakuzha, Kothamangalam and Mailacombu, of the thenArchieparchy of Ernakulam- Angamaly. Mar Matthew Pothanamuzhi was ordained as the first bishop of the eparchy in Rome onNovember 18, 1956. The inauguration of the eparchy and the installation of thenew bishop took place on January 10, 1957, at Kothamangalam. Mar MatthewPothanamuzhi, who guided the eparchy with paternal care and succeeded in curingthe teething troubles of the eparchy, retired after two decades of memorablepastoral ministry. Mar George Punnakottil succeeded Mar Matthew Pothanamuzhi. He was ordained andinstalled in office on April 24, 1977. The developmental programmes in theeparchy got a new vigour and verve and there were new initiatives to augmentthis process. On January 10, 2013, the 56th anniversary of the inauguration ofthe Eparchy of Kothamangalam, the people of God heard the announcement 'We havea new Bishop'. Bishop Mar GeorgeMadathikandathil wasenthroned on February 9, 2013 as the third bishop of the Eparchy ofKothamangalam. At present, the Eparchy is constituted of 119 parishes. 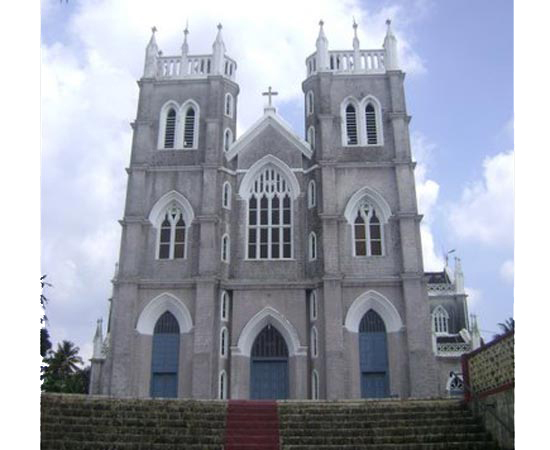 Situated in the centre of Kerala, the Eparchy of Kothamangalamlies extended in the revenue districts of Ernakulam and Idukki, surrounded bythe Archieparchy of Ernakulam-Angamaly, and the eparchies of Irinjalakuda, Idukki and Pala. East : Uzhavathadam River, Cheeyapara Waterfalls,Karimanal Power House, Kulamavu Dam ( & the Eastern boundaries ofPazhampillichal, Neendapara, Rajagiri and Uppukunnu parishes). West : Eastern boundaries of Thripunithura and Vallam Foranes ofErnakulam-Angamaly Archieparchy.